I can’t think of a go-to brunch recipe that I try more often than waffles. What about you? But I’m always looking for ways to shake things up with those classic recipes I use again and again. 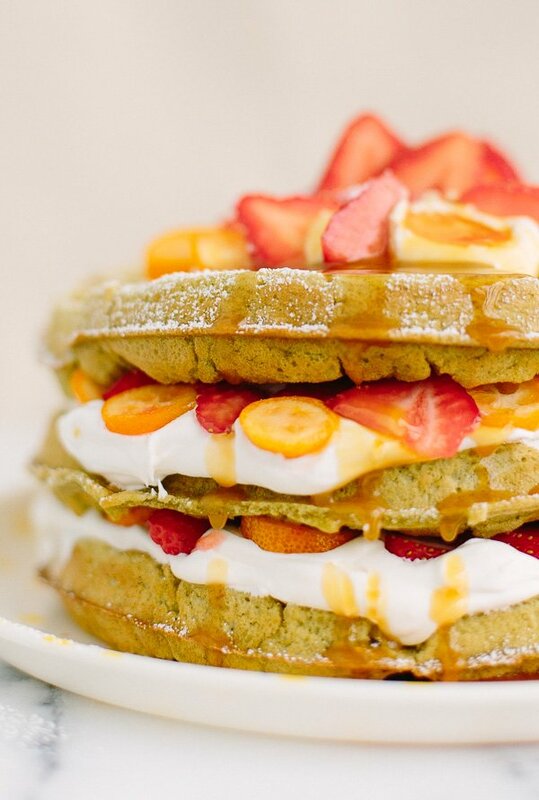 So….matcha waffles are coming at you today! 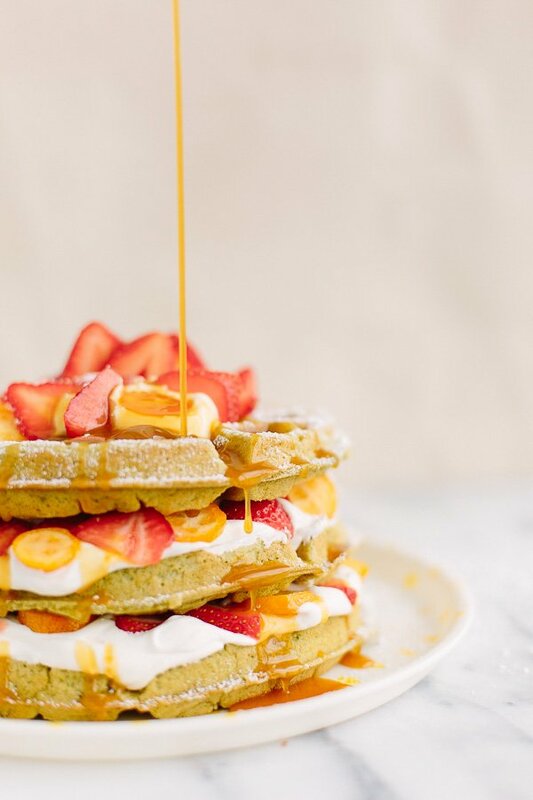 They not only look different than your typical waffles (they’re a pretty pastel green color), but they taste a little different too…in a good way. If you’re a matcha lover, you’ve got to try these! Click through for the recipe. 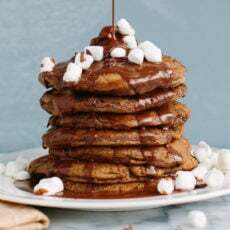 FYI – You’ll need a waffle iron for this recipe, unless you plan to convert the idea to pancakes. My waffle iron is from Amazon – it’s this one. But they have a bunch of really good ones, that start at a lower price point too… like under $30, if you need one. 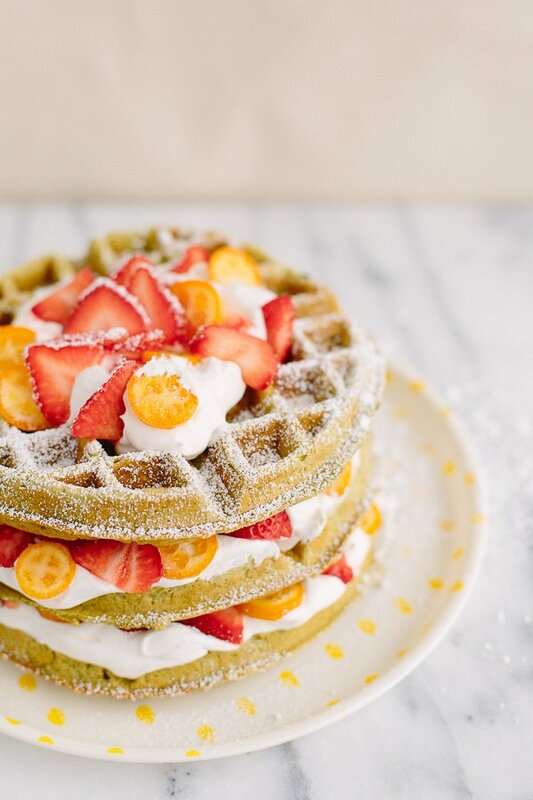 *Depending on how much matcha flavor you want to come through in the waffles. The recipe was modified from an oldie but goodie…red velvet waffles. That’s another good one to check out, especially for Valentine’s Day is you’re hoping to get festive with red and pink waffles. Preheat your waffle iron. Then, sift together the flour, sugar, match powder, baking powder, and salt. In another bowl, whisk together the butter, buttermilk, eggs, food coloring, and vanilla. Add the wet ingredients to the dry ingredients and mix until just combined. Spray the waffle iron with cooking spray and spoon the batter into the wells. Cook according to the machine you’re using (usually only takes a few minutes) and flip if necessary. Once cooked, add homemade whipped cream, fruit, and powdered sugar to garnish. Or eat as is with honey or maple syrup. I added strawberries, kumquats, whipped cream, and butterscotch syrup on mine. 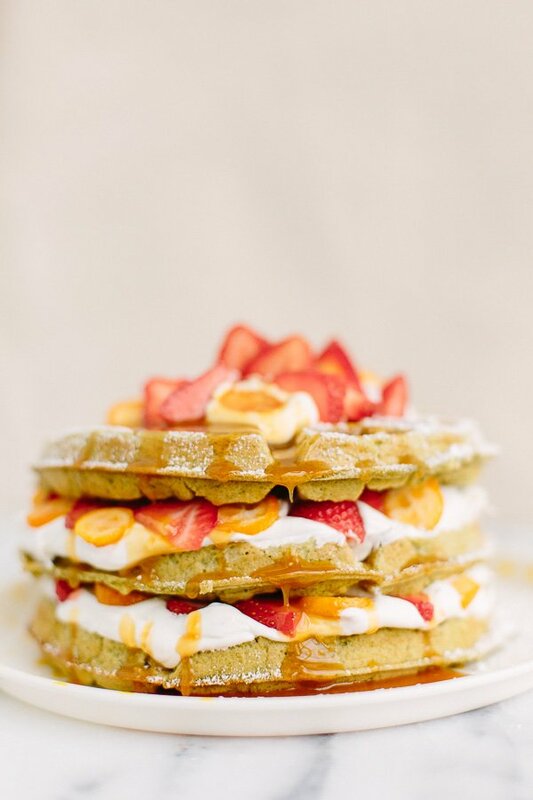 If combining all those ingredients above is too much, you could also create a semi-homemade recipe using a box waffle mix. Just add the ingredients according to the packaging and then add in 1-2 tbsp of matcha powder to the mix before cooking. 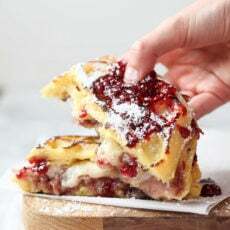 Super easy breakfast for a lazy morning. What do you think? Are you a matcha fan? Yay or nay?! Those waffles look so good!! I love them. Thanks Courtney. Anything with waffles and I’m onboard. 🙂 Doesn’t take much around here. Haha. 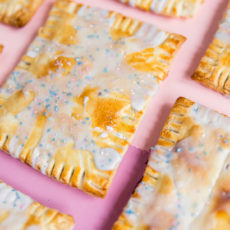 Yum, they look super delicious! 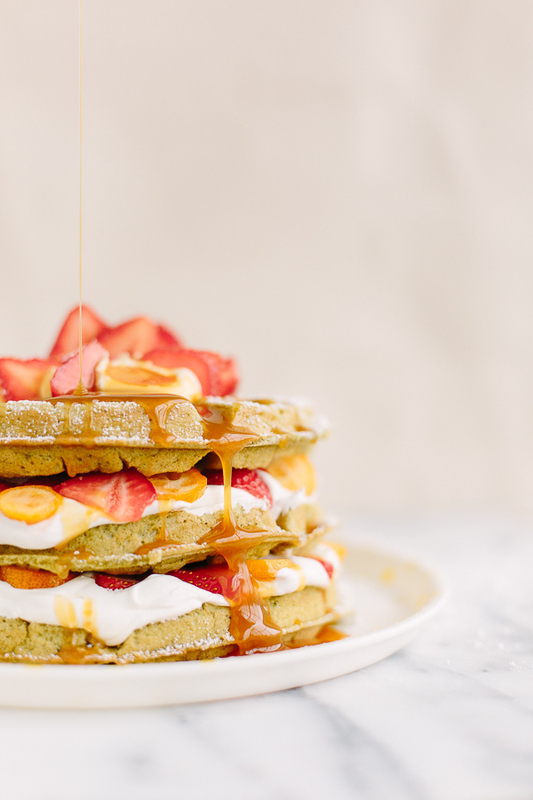 These waffles sound – and look – wonderful. I have never heard of matcha. Can you enlighten me as to what it is please? Hi Cheryl. Of course. Matcha is finely ground powder of specially grown and processed green tea leaves. It tastes kind of earthy and is what gives the waffles their green color, in this case. Wow matcha is my favourite. I really love what you cook. Awesome Helena. Happy to hear that!